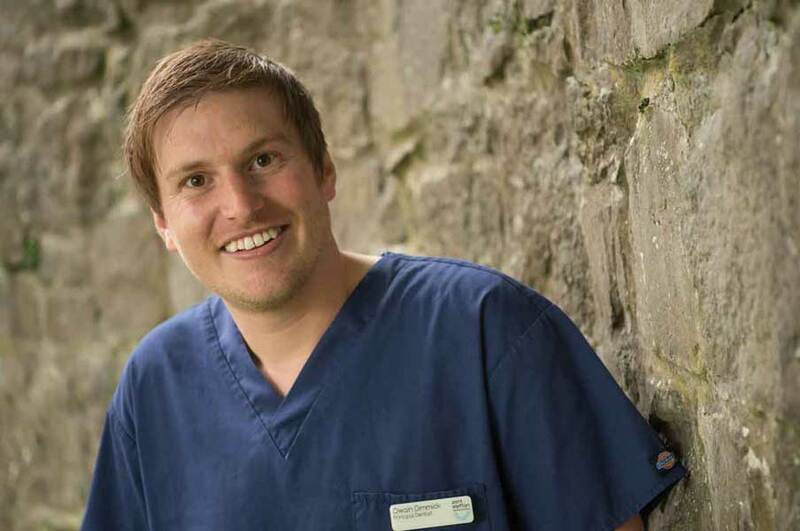 Owain was raised and schooled in Ceredigion, he gained his Bachelor of Dental Surgery Hons (Wales) degree from Cardiff University. Owain enjoys all aspects of dentistry, however areas of particular interest are in cosmetic orthodontics, treating nervous patients. He currently lives in New Quay with his wife Laura, daughter Isabelle and welcomed their 2nd daughter Sophia – Born May 2018.
is a fluent Welsh speaker. In her spare time she enjoys travelling, walking, rugby and water sports. and restorative dentistry, and looks forward to the exciting challenges offered by expanding the practice. Georgie graduated with a Bachelor of Dental Surgery Honours degree from Cardiff University in 2015. Since graduating she has completed further exams and is now a Member of the Faculty of Dental Surgery, which is associated with the Royal College of Surgeons. Following her vocational training, she worked as a senior house officer in oral and maxillofacial surgery at Prince Charles Hospital. Georgie’s interests are in oral surgery and root canal treatment. She is currently undertaking a master’s degree in endodontics to further her knowledge and refine her skills in root canal treatments. Georgie hails from a farming background in mid-Wales and in her spare time enjoys horse riding, playing netball, hockey and walking. Baz graduated with a Bachelor of Dental Surgery Hons (Wales) from Cardiff Dental School in 2008, where after completing his vocational training he decided to refine his surgical skills in oral surgery by working as a Senior House Officer in Restorative Dentistry, Maxillofacial Surgery and Paediatric Dentistry. He then went on to complete the Stepwise Implant Dental Course through Cardiff University in 2011 and has been placing and restoring dental implants since then. Sport is one of Bharat’s passions, especially rugby, cricket and snow-boarding. Having being born in India, he is a passionate Indian cricket supporter however having lived in Wales for most of his life, he supports the Ospreys and the Welsh rugby team! Becky went to school and university in Lampeter. She has previously worked in pharmaceutical sales and retail management and has business accounts experience. Outside of work she enjoys running, crocheting, reading, long walks with her three dogs and spending time with her family. 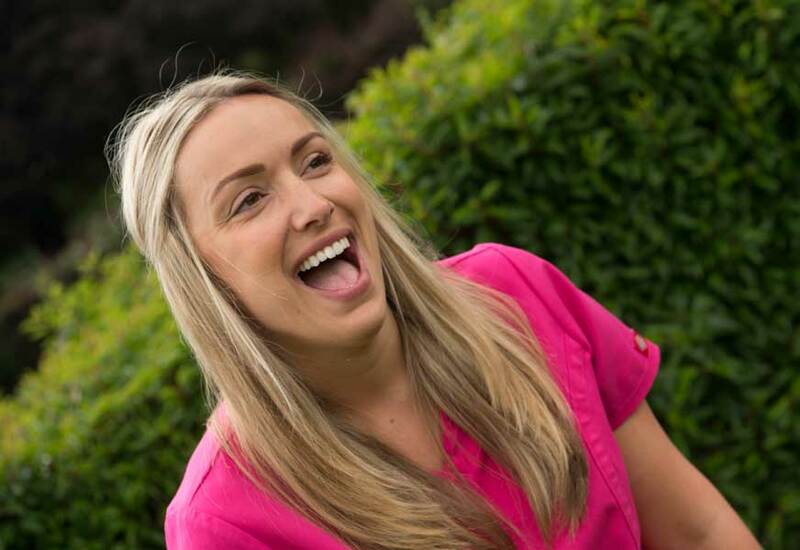 Cerys was educated in Ysgol Dyffryn Teifi and graduated as a Dental therapist from Cardiff University in 2009. She has worked at both NHS and private dental practices since qualifying. Cerys is a fluent Welsh speaker and is in the process of teaching her husband the language as well as their two young daughters. In her spare time she enjoys keeping fit, eating out and helping her family on their family farm. She has competed in a couple of mud-runs and hopes to compete in ‘ToughMudder’. 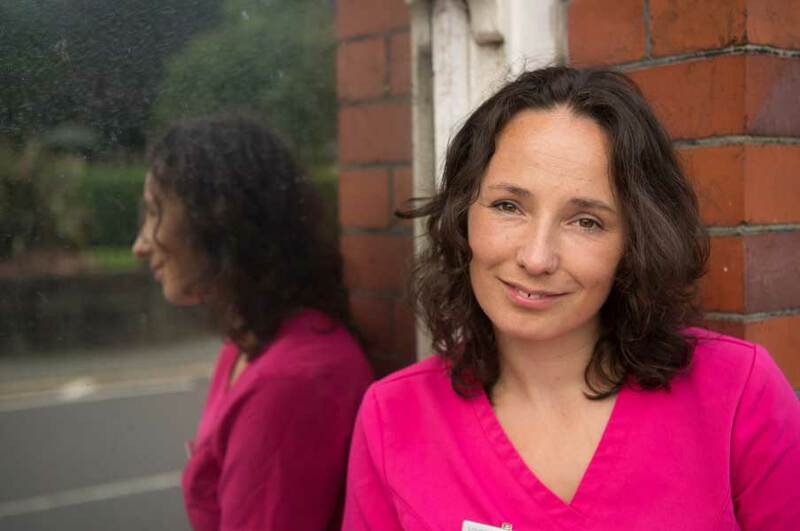 Jill Qualified as a hygienist in Birmingham and went on to work in Worcestershire. She also qualified as an RGN in London, completing both professions in an ENT unit in Central London. 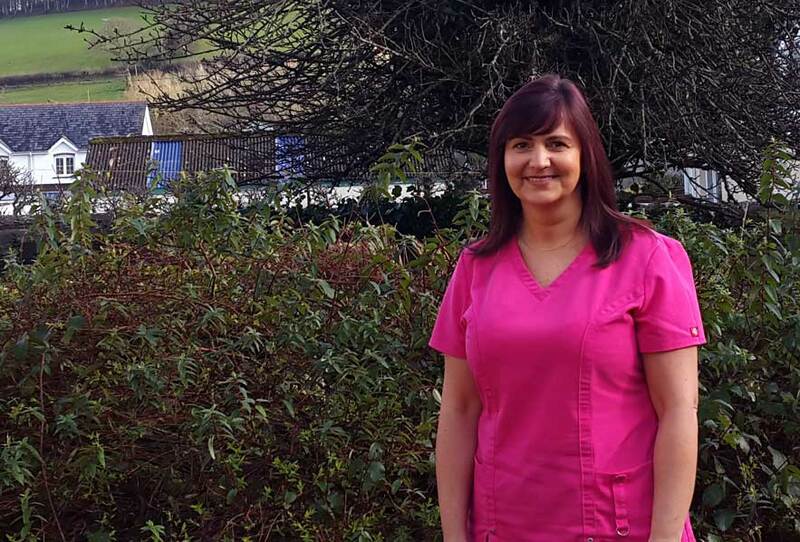 Jill has worked as a hygienist in Ceredigion for 18 years and both of her children were born here. She enjoys horse riding and rehabilitation of ex racehorses in her spare time and would list walking, cinema and eating out as an important part of her life! Dea was born and raised in North West Wales but moved to manchester straight after leaving school where she worked in Manchester, Liverpool and KingsCollege dental hospitals. She met her husband at Liverpool dental hospital where he was studying and then lived for many years in Chester, before returning to Wales. She has two children and her interests include fitness training, music, going to concerts and films. 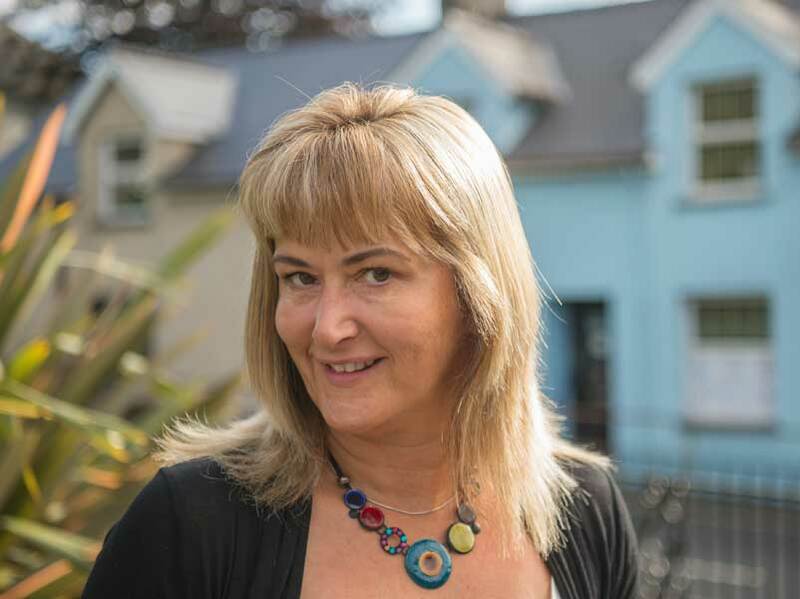 Mari was born and raised on the Llyn Peninsula and is first language Welsh. She qualified from Cardiff University with a degree in Dental Hygiene and Therapy. 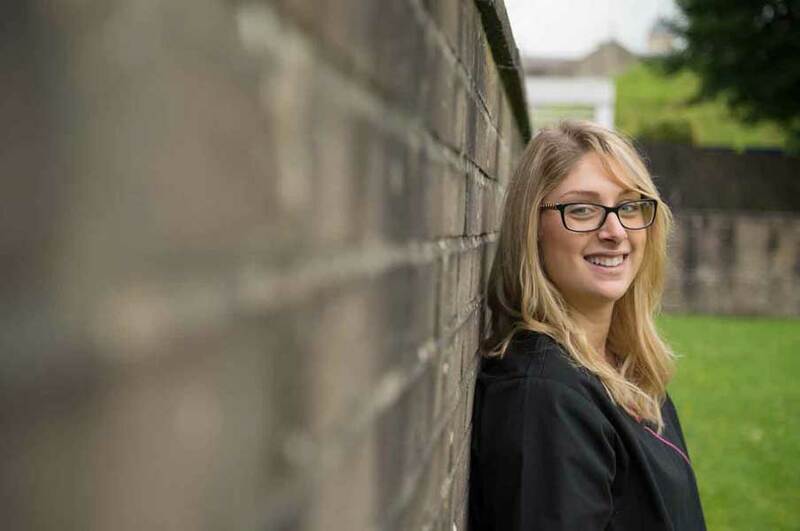 At university she was awarded a prize for her work with Children and enjoys giving children a good introduction to dental visits to ensure they don't develop dental anxiety. She finds working with anxious patients at Pont Steffan very rewarding, seeing patients confidence grow in each visit. When not in work Mari enjoys traveling, and is happiest when she's on the beach whatever the weather. As some of you my know, Joyce previously worked for Miss P Young at Bryn View until she retired. She thoroughly enjoys her role and is pleased to be back as a part of the Pont Steffan venture. Joyce has been recognised as a Denplan Champion for her commitment, knowledge and enthusiasm in her role here at Pont Steffan. Joyce also runs a family sheep farm alongside her husband on the outskirts of Lampeter which takes up a lot of her spare time, she also loves cooking and listening to music. Helen joined the practice in October 2015 and is really enjoying meeting lots of new people as the ‘front of house’. She is a fluent Welsh speaker and lives locally. 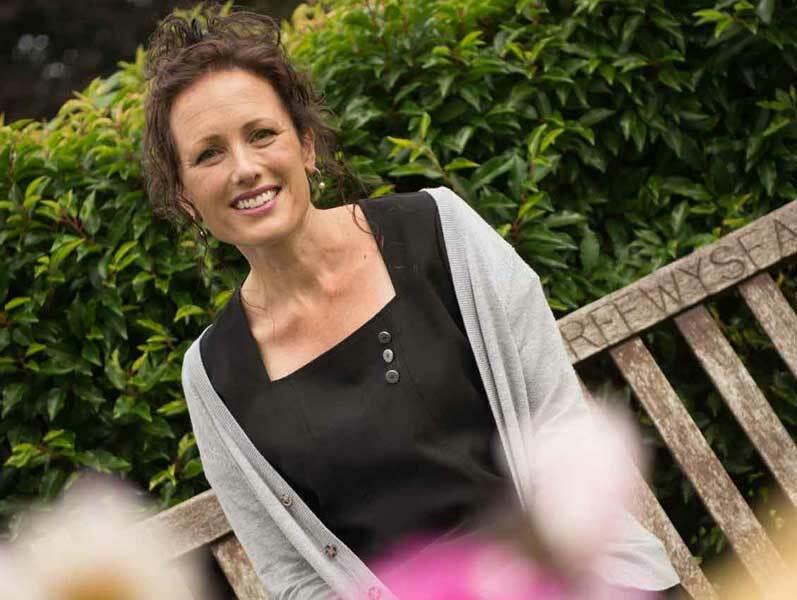 Helen enjoys days and weekends away with her family and friends, including shopping and walking. She also played football for Felinfach Ladies for 10 years! 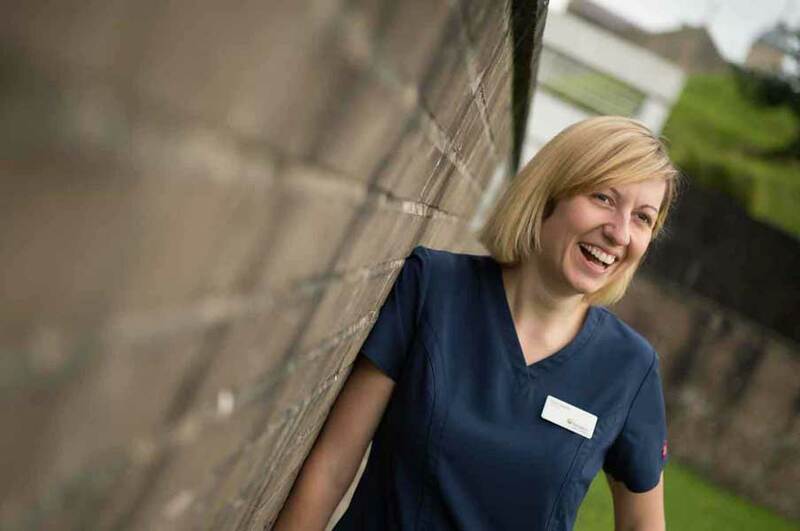 Louise Qualified as a Dental Nurse while working at the Ystwyth Dental Practice in 2005. She Joined us at Pont Steffan in September 2012 and has since been made head nurse for her hard work and dedication. Lou Lou enjoys being part of the team and experiencing new dental procedures. In her spare time she enjoys cycling, swimming and more recently learning to horse ride. 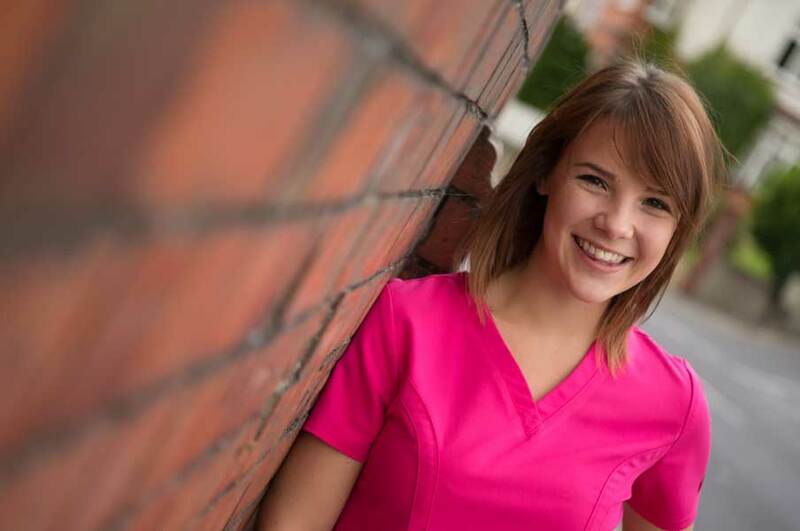 Lauren joined the practice in October 2013, and has gained her Diploma in Dental Nursing qualification whilst working at Pont Steffan. 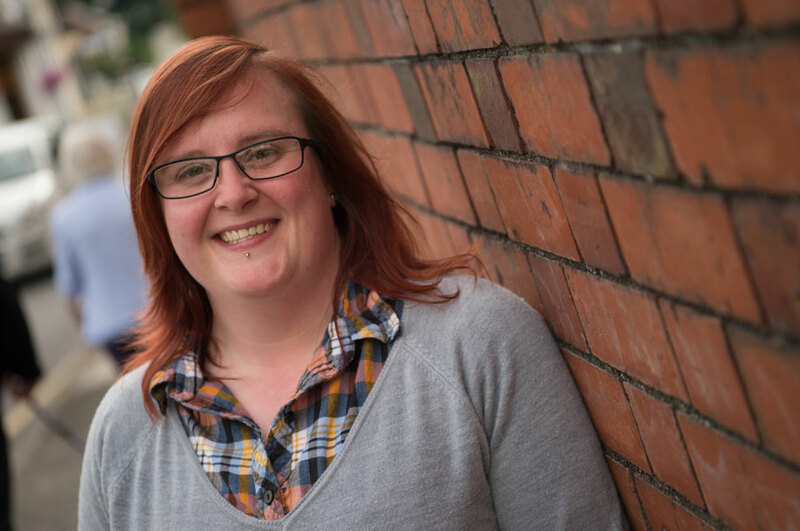 She speaks fluent Welsh, and is happy to be working in a Welsh community. In her spare time she enjoys keeping fit by running, walking and attending her local gym. Tracey has been living in the Lampeter area for nine years after moving here from South Africa. She joined the practice in the summer 2016 and enjoys working here because each day is diverse. She especially loves helping nervous patients gain confidence, overcome any fears and generally feel more comfortable whilst here. Outside of work she enjoys training for charity races and long walks with Poppy dog. 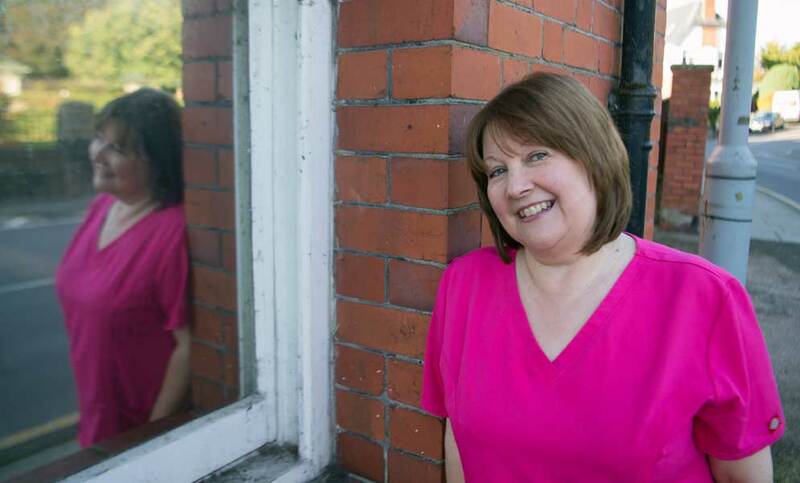 Alice has been a dental nurse for 32 years, with additional qualifications in radiology and impression taking. She moved to the area in 2012 and enjoys horse riding, walking the dog and reading. She's excited to have become a grandmother in February 2018. 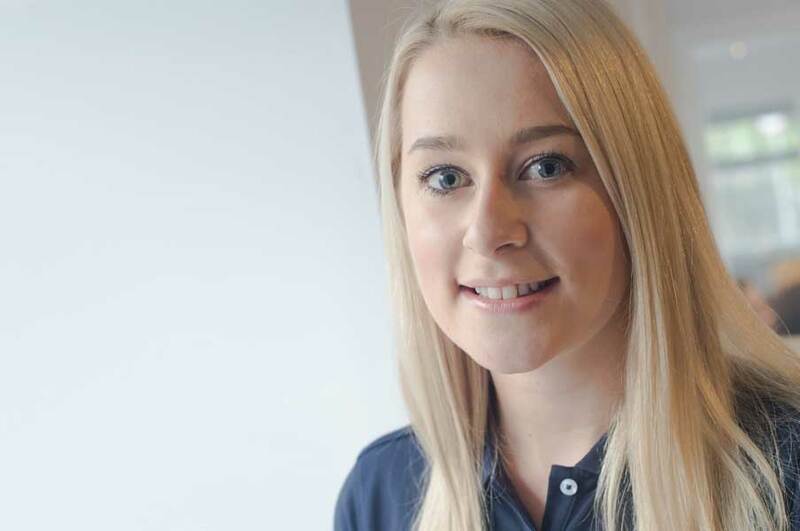 Kim joined the practice initially on reception in January 2018 and is now training to be our newest dental nurse. She has lived in the Ceredigion area all her life and outside of work Kim enjoys swimming, ballroom and latin dancing and visiting historical buildings. Fran went to university in Lampeter and graduated in Media Production. She joined the practice in August 2013 and is responsible for updating the website, social media and gaining general noticeability within the community. Outside of work she enjoys playing hockey, video games and cooking. As a team we aim to treat all our patients as we would wish to be treated ourselves. Our evidence based approach, centred in preventative dentistry, encompasses modern technology and practices where the needs of the patient are at the forefront of everything we do.